Many highways and interstate freeways crisscross the city of Eagan, Minnesota that one can go through in order to access the city better. The most important road for this settlement is Interstate 35, which we shall call I-35 for the sake of simplicity. This Interstate – or to be exact, its eastern road, Interstate 35E (which we shall call I-35E, again for simplicity) – is quite important, this is because it traverses through much of Eagan. Other roads that will be discussed about are Minnesota State Highways 77, 55, 13, 149, and 3, as well as the Interstate 494. Coming from the southwest, from the neighboring town of Burnsville, I-35 splits the city of Eagan into imperfect halves, diagonally. This route is the one most used by residents, travelers, and tourists. Merely going through the southwest sections of the city is Minnesota Highway 77, which serves as an easy north-south route you can take if you happen to be travelling in or through Apple Valley, Bloomington, Richfield, or Minneapolis. The two roads discussed above have contributed much to the growth of Eagan. More specifically in the 1980s where Highway 77 was relocated and expanded, and the completion of the final I-35E freeway section southbound. An Interstate you may want to consider if going to Eagan from the east is I-494, which goes through the northern border of Eagan. There you can take an interchange into Interstate I-35E. 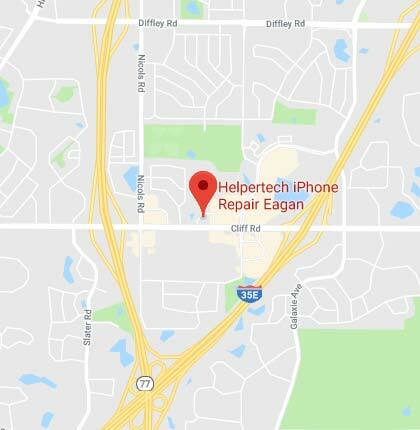 State Highway 13, also known as Minnesota State Highway 13, and abbreviated as MN-13 (we shall call it this from here on out), is another route you can take when entering, leaving, or travelling to Eagan. Also known as Sibley Memorial Highway, it comes from the western side of the city’s boundaries. If looked at with a map, one can observe a sharp incline as it goes through the city and exits at its northern border near Lost Spur Golf and Event Center. There is an interchange between MN-13 and MN-77 at the west boundary of the city that you can take. Another minor highway (although not unimportant as to leave it out of this article) that goes through Eagan is Minnesota State Highway 3 (MN 3, which is also known as St Robert Trail). The road enters from the city’s southern side, it quickly then exits at the eastern side, staying mostly in the southeastern corner of Eagan. You may want to turn to either Cliff Road or Diffley Road in order to access other areas of the city. Then there’s the equally as important Minnesota State Highway 55, or abbreviated, MN-55, comes from the east, from Inver Grove Heights. Known in Eagan as Courthouse Boulevard West, from the east it enters into the city proper. It then intersects with Minnesota State Highway 149 or MN-149 (also known as Dodd Road), and becomes Dodd Road for a while. It will then intersect with Lone Oak Road, further down the path. MN-149 and in conjunction the name Dodd Road will then split from MN-5, which from now on will be called Highway 55 (or Hwy 55 if you do so prefer). It will then cross paths with Lexington Avenue Street (also known as Country Road 43 or CSAH 43). It will finally then have its last intersection within Eagan by crossing with Eagandale Boulevard. It’ll then exit the city through the northern border from there. Last but not least, there’s Minnesota State Highway 149 (or MN-149 if you are fond of abbreviations), which we have referenced earlier in this article. It crosses into the city’s administrative boundary at the convergence of the Wescott Road and Argenta Trail into Jefferson Trail West, from there, until its exit at the northern bounds of Eagan, it is called Dodd Road. It temporarily merges with MN-55 as we have discussed earlier, then splits from it near New Horizons Twin Cities Minnesota. From there it goes straight north into the border of Eagan. There is a interchange you can take if you wish to go through Interstate 494.